For our ‘Free Crochet Patterns’ post this month we’re back with some baby inspired patterns, so you can be sure these projects are super, duper cute and gorgeous! Today we’re sharing over 25 patterns for baby booties. Before you dive into these, make sure you check out the free crochet patterns posts we shared with you in the past weeks. We kicked off this series of posts by sharing over 30 baby hat patterns, and that was followed by 27 beautiful baby blankets. All the patterns we share in each of these posts are our very favourite! We research the web (so you don’t have to!) 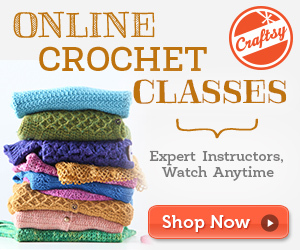 to bring you some of the best and most creative free crochet patterns around. Click on each of the links below to view the finished products of each project, and of course to download each individual pattern. The baby booties patterns below make the perfect gift, are ideal for donating to charities, and of course would be extra special for your own little darlings. Enjoy these patterns! Enjoy your crochet.